IMT’s glass partition wall solutions are the perfect modular office solution with our beautiful design & acoustic values. In a fast paced office setting, nothing means more than being able to quickly redesign and reconfigure the physical layout of available space promptly and with as little effort as possible. If your office partitions were built with traditional drywall over steel studs, that is not even an option worth discussing. 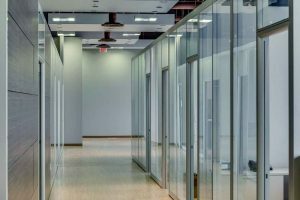 In 2001, commercial interior construction specialist Shay Sekler founded IMT Modular Partitions Ltd. to take on such a challenge and found immediate success with his proprietary IMT Wall. The IMT wall is available in a number of cladding options, with glass partition walls being one of the most popular in environments where it is important to provide a sense of openness and the privacy afforded by walled in areas. Walls made of traditional drywall exude privacy, but do little to foster a sense of space or collaboration that modern office settings demand. 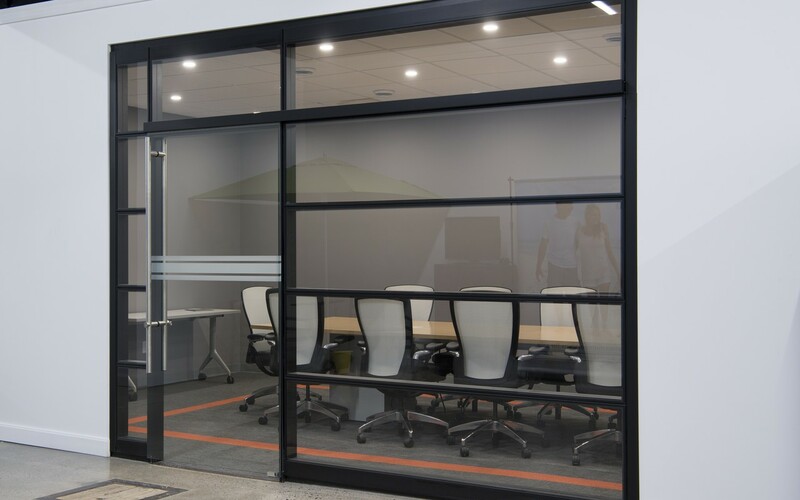 Unlike drywall, or fixed walls covered with paneling, the glass partition walls manufactured by IMT Modular Partitions Ltd. are extremely flexible and can be re-used, re-configured, or customized as business needs change. Besides core manufacturing, IMT offers a two step process for all of our customers: Planning, and Installation. Determining ceiling type. Glass partition walls cannot be properly anchored to the existing ceiling without knowing in advance what it was constructed from, such as drywall, ceiling tile, or something else. Determining wall modularity. We take careful measurement of wall elevations, in respect to glazing, door, and solid wall segments. Knowing what type of flooring has been installed also plays a role, as floor coverings such as carpeting, tile, or other flooring requires the use of different anchors for typical glass partition walls. Reviewing door configurations and how they will affect the IMT Wall. Assessing electrical, data, and communication needs. Once our designers have carefully planned out your office or other interior space, our expert design professionals take over the job. With a dedicated project manager on site during the entire process, IMT Modular Partitions Ltd. is dedicated to making sure the installation goes smoothly and the customer is completely satisfied with the outcome. IMT walls are environmentally friendly and can be re-configured with a 98 to 100 percent re-usability rating. Rather than gutting existing space, building owners and managers now have more flexibility at their fingertips than ever before. Our product meets LEED certification for commercial interiors, meaning your new space is recognized as high performance, healthy, and offers greater productivity while costing less to operate and with a smaller environmental footprint. 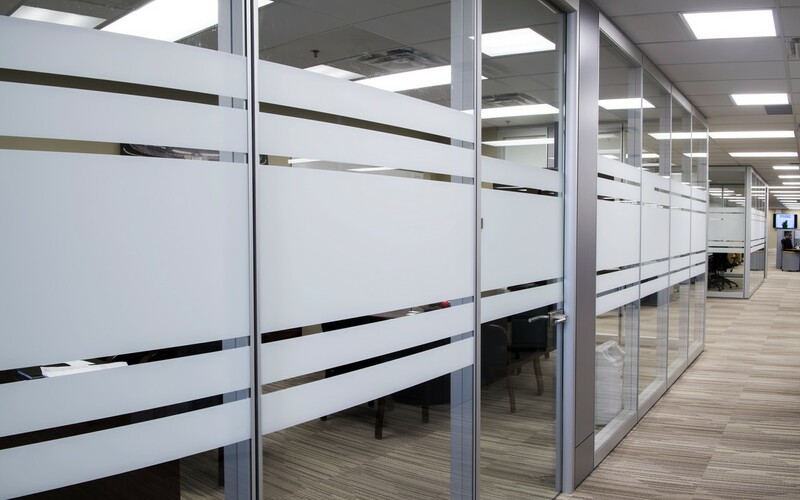 Contact us today at 416-743-4513 for information on our glass partition wall systems.